Gum disease is one of the most common dental problems in the entire world, and in addition to causing red and painful gums, it also puts a person at a much higher risk of developing other severe health conditions, including diabetes, heart disease, and dementia. At our practice, Dr. DeAngelo and our team take the health of your gums very seriously, and should we spot even the slightest sign of this infection, we’ll quickly be able to treat it with thorough periodontal therapy. If your gums feel tender or bleed whenever you brush your teeth, you may already have gum disease, so be sure to contact us today for the treatment you need. 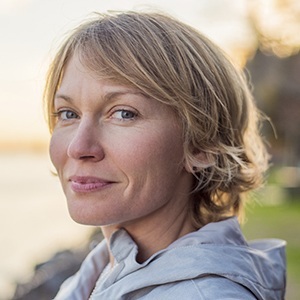 These two treatments are sometimes collectively known as a “deep cleaning,” and they serve as our first line of defense against early-stage gum disease, better known as gingivitis. Their goal is to eliminate the presence of harmful plaque and tartar deposits from your gums and lessen your chances of developing the infection in the future. The treatment will begin with the scaling portion, in which a member of our team will use an ultrasonic scaler to gently clean away any plaque or tartar located around or underneath your gum line. Then, root planing will be used to gently smooth out the rough surfaces of your teeth’s roots. 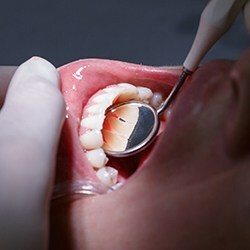 This will make it much harder for plaque and bacteria to gather on them in the future. A full deep cleaning treatment can usually be completed over the course of one to a few appointments depending on the extent of your gum disease. We’ll lightly numb the area before starting to make sure you’re comfortable the entire time. Lasers were first introduced to dentistry in the mid-90’s, and today, they allow our team to perform a multitude of treatments with much more accuracy and precision while limiting any discomfort a patient might feel. Our soft tissue laser is specifically designed to help us effortlessly treat and eliminate gum disease. 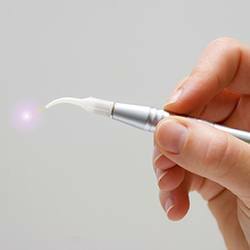 It uses a highly concentrated beam of light to quickly kill the bacteria that cause gum disease. It can also be used to painlessly remove any infected tissue as well. This tool is so advanced that it is able to do this while leaving all of the healthy surrounding tissue alone, which reduces any pain a patient might feel before or after the procedure. It’s also able to cauterize blood vessels as it works, meaning a patient likely won’t experience any bleeding. Plus, it creates very little heat or noise, providing an overall pleasant patient experience that is able to consistently deliver dramatic results.